India just gave its banking system a $32 billion shot in the arm. That's how much cash the Indian government plans to pour into state-run banks that are saddled with mountains of dodgy loans. Official estimates show 12% of all loans made in India -- $150 billion worth -- have gone bad. The government, which announced its intervention on Tuesday, has repeatedly faced calls to shore up the banking system. Analysts hailed the cash injection as a "significant" and "much needed" move that should help revive the country's flagging economy. Investors agreed. 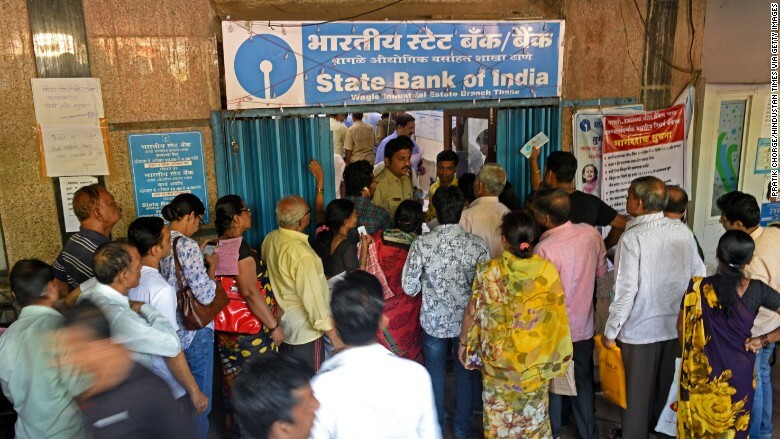 Shares in State Bank of India, the country's largest lender, gained over 26% Wednesday on the Bombay Stock Exchange. Punjab National Bank gained 46% and Bank of India advanced by 33%. Yet some analysts questioned whether the government bailout is big enough to fully repair the damage caused by bad loans. Indian banks need a much larger infusion of $65 billion to comply with new international regulations that will come into force in 2019, according to Fitch Ratings. The fresh government funds should be enough to tide the state-run banks over for a couple of years, but analysts say more uncertainty awaits. "I think they probably will need even larger-scale [infusions] beyond the next two years," said Shilan Shah, India economist at Capital Economics. The current bailout also doesn't guarantee that public sector banks will be in a position to give their customers new loans, analysts say. "The measures will not immediately spur new lending," Shailesh Kumar, an analyst at the Eurasia Group, wrote in a research note. That's because private banks have largely filled the gap in lending left by public lenders. Other sources of uncertainty, including a disruptive national tax overhaul, continue to have a cooling effect on private investment, he said. Related: India's economy in 'downward spiral.' What did Modi get wrong? The government's continued involvement in the sector -- its 21 banks hold roughly two-thirds of industry assets -- could also be part of the problem. "There has to be a willingness on the part of the government to actually sell off its stake," Shah said. "I don't think there's the will at the moment to reduce its stake to below 51% or 50% so that the private sector can become majority shareholders."